Beam Suntory aims to “accelerate growth” in South Africa following a 50% acquisition of spirits distributor ABV Brands Proprietary Ltd. Following the purchase from Cyprus-based FIX Wines and Spirits Ltd, ABV Brands’ co-founders and management team will continue to hold the remaining 50%. 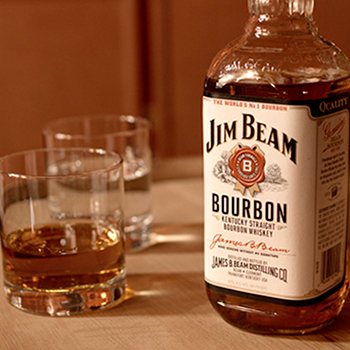 Since launching in 2010, ABV Brands has been distributing Beam Suntory’s spirits in South Africa and grown the company’s brands by more than 260%, thanks to “consistent double-digit growth” of Jim Beam and Courvoisier. “I am delighted to announce the strategic investment in ABV Brands in South Africa, which extends our successful partnership with ABV Brands,” said Albert Baladi, president, international at Beam Suntory. “The African spirits market has phenomenal growth potential for Beam Suntory and our global whisky and Cognac portfolio is ideally suited to capture the growth of premium spirits. Beam Suntory hopes the acquisition will allow further investment in sales and marketing, thus expanding distribution and enabling the firm to reach a wider consumer audience. ABV’s co-founders and managing directors, Ross Calow and Dan Hawkins, will keep their existing roles. “ABV Brands is at the forefront of marketing and distribution of some of the world’s best-loved premium spirits brands, and this transaction will allow us to take Beam Suntory’s exceptional premium brand portfolio to new customers,” said Ross Calow, managing director of ABV Brands.